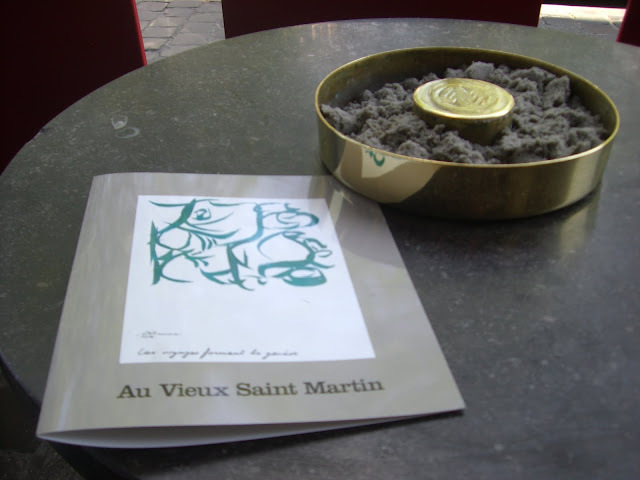 In Brussels we had a lovely lunch at Au Vieux Saint Martin on the Place du Grand Sablon. 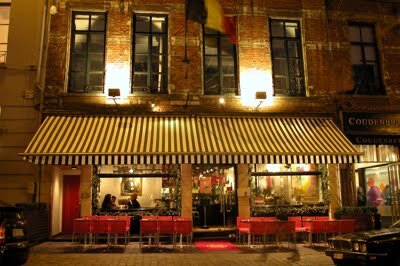 The restaurant serves traditional Belgian food, excellently prepared. Since we were wrapping up a weekend of culinary indulgence, we kept the meal light- Belgian radishes with sea salt, Salade Niçoise and an omelet. 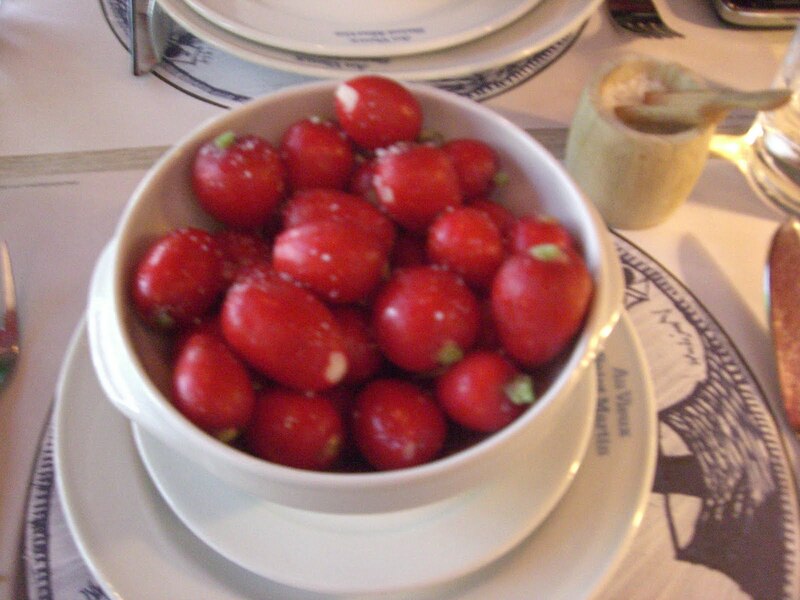 It's a pretty restaurant, light and airy, decked out in cherry red laquer and hung with original works by P. Alechinsky, Fred Bervoets and Walter Swennen.